This is indeed a Northwest wine blog but as many of us know, the Northwest isn't the only place that grows and produces word class wines. It's our favorite of course, but it's not the only one. Recently I'd been asked to participate in a very cool project that allowed me to write about wine, and probably the one past time I enjoy more, bicycle racing. I was asked to contribute a wine column to a collaborative effort by Peloton Magazine and Cannondale Bicycles called Italiano. You can download it for free here. 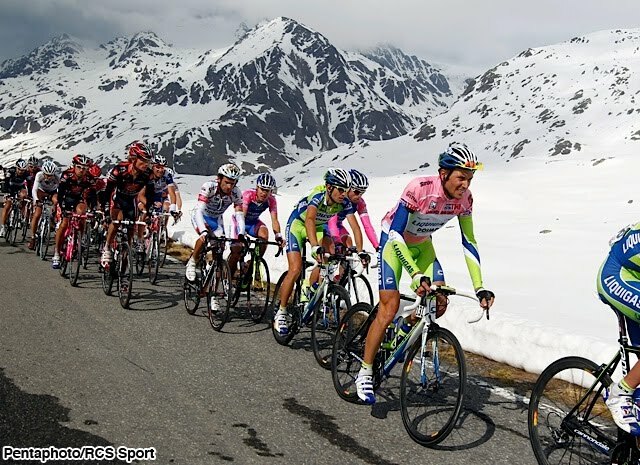 Today marks Stage 13th of the Giro d'Italia and the fame of the Tour de France not withstanding it's hard to argue that there is a country more romantic and passionate about the sport of cycling, or really anything, than Italy. The stage kicks off in Piedmont, in the town of Cervere and ends near the coast in the Liguria region. Piedmont, I had come to learn (through my "research"), is the king of Italian wine regions. Tuscany certainly delivers on romance and rustic appeal but when it comes to quality and variety of the wines produced. Piedmont is hard to match. From world class Barolos, Barbarescos, Nebbiolo, Barbera, Moscato and Dolcetto, not to mention several native varietals, Piedmont offers the Italian wine fan a cornucopia of wines at a very approachable price point, except for the pricey Barolos. 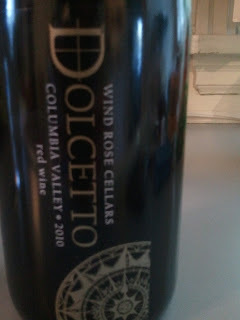 Today's Friday Find is a Washington take on Piedmont's Dolcetto. A wine known for its tannins and fruit forward characteristics it can be a bit of a surprise to folks who might expect a literal translation of the Italian "little sweet one." The Dolcetto from Wind Rose Cellars seems to hit the mark and would make those people of Piedmont think highly of this Sequim located winery. Yes, I said Sequim, on the pennisula, which hosts it's own bicycle races, the not nearly as well named Tour de Dung each Spring. For $18 you get a crack at a varietal that is quite rare by Washington standards, rumor has it only 20 acres are planted. Typical of the varietal, you get loads of red fruits, notably strawberry and raspberry you also get that gripping tannic finish, where the Wind Rose strays from the Italian script is with a touch of smoke and coffee that come in on the back palate of the wine. Order online from the good people in Sequim and do a side by side tasting with something from Piedmont.